SAP, ORACLE and the cloud…. Home » SAP, ORACLE and the cloud…. » Blog » SAP, ORACLE and the cloud…. Last year has been a huge year for Cloud Computing. The software giants have moved aggressively into the space. In the year 2011, SAP acquired cloud software vendor Success Factors for approximately $3.4 billion. The same year Oracle too announced acquisition of cloud CRM vendor Right Now. Collectively, SAP and Oracle spent nearly US $5 billion to acquire software vendors based in the cloud. Shortly after these acquisitions, Salesforce.com acquired cloud-based performance management vendor Rypple. With these big acquisitions, it is clear that the cloud computing market is growing up and the race is on for the larger organizations to consolidate and broaden thin cloud portfolio. It signals, that the acquisition targets are going to be Talent Management / HRMS SaaS vendors. It also implies the realization that cloud deployment will be the predominant approach. 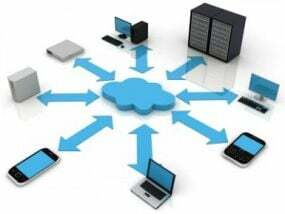 The cloud computing format makes perfect sense for the human resources world. A key aspect of the cloud is the delivery of the business application as SaaS. Acquiring and deploying SaaS applications save valuable cost, energy and time for firms. It both lowers the upfront investment of solution ownership and eases budgeting because of the predictability of costs over time. Rather than a large, upfront lump-sum hit to the budget, SaaS deliveries are rather like the electric bill, occurring on a pay-as-you-go basis. Analysts at technology think-tank Gartner Group predict that by 2014, sales of SaaS HRM software will outpace new ERP-based purchases in global 2,000 organizations. With such estimated demands it’s no wonder why traditional ERP software firm SAP just paid early $3.4 billion for cloud-based Success Factors. The ERP vendors (SAP, Oracle, Peoplesoft) have generally done a poor job of building talent management software. It was that lack of innovation which enabled Success Factor, Taleo, Silk Road and other vendors like Empxtrack to even exist. These SaaS based softwares may focus on overall workforce talent management or be positioned as an HRIS. In both cases, they offer the ability to functions as a complete employee system of records. Empxtrack an HRMS vendor available on SaaS, entered the market almost a decade ago but has been targeting a much larger problem than its peers. It has addressed the unique issue of integration of all HR activities in one platform, which will be the next challenge for the ERP vendors. Empxtrack is a next generation software for Human Resource and Talent Management. Its a global HR software product that covers all aspects of an employees life cycle in an organization – right from recruitment to performance management, growth, management and eventual exit. Recently receiving recognition by CNN Money.com and being ranked in the top 5 Bsoco awards 2012, Empxtrack is the next battleground for competitiveness.